BOGOTA, Apr 7 2011 (IPS) - The announcement of progress towards making synthetic vaccines against 517 infectious diseases, and the award of an international prize for his work have stirred up lively controversy around Colombian pathologist Manuel Elkin Patarroyo, a malaria vaccine pioneer. While the scientific community complains that the media are making a big fuss over the announcement before the effectiveness of the vaccines has been confirmed, lawsuits have been brought about alleged animal trafficking for research purposes and its environmental impacts. 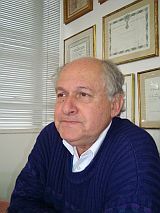 Promising results using Patarroyo’s synthetic vaccines were published in late March in Chemical Reviews, the journal of the American Chemical Society, shortly after he received the Prince of Viana Prize for Solidarity 2011, awarded by the regional government of Navarre, in Spain, and the Caja Laboral, a cooperative bank. “My main goal for the last 33 years has been to find a logical method for the development of synthetic vaccines,” the 64-year-old Colombian researcher told IPS at his Bogota laboratory. Chemical Reviews published results of the research carried out by his team of 68 people, including scientists and administrative staff, at the Colombian Institute of Immunology Foundation (FIDIC), based in Bogotá and Leticia, the capital of Amazonas province in the southeast of the country, near the borders with Brazil and Peru. “We defined the chemical and physical principles of molecules (involved in immunisation) that remain typical, regardless of whether they belong to the malaria parasite, the tuberculosis bacillus, the hepatitis virus, Treponema pallidum that causes syphilis, the agents that cause meningitis, and so on,” said Patarroyo, who was granted Spanish citizenship in 1996. “All these molecules follow specific rules, which allows us to say, on the basis of these findings, that vaccines can be developed for many infectious diseases,” he said. Patarroyo became world famous in 1986, when he announced the creation of the first chemically-synthesised antimalarial vaccine. Vaccine SPf66 – also the first vaccine against a parasite – was effective for preventing malaria in between 13 and 40 percent of the people tested, and in 1995 Patarroyo donated the patent to the World Health Organisation (WHO). But the WHO shelved it, and today SPf66 is one of 32 inactive or discontinued vaccines, while 23 other projects are undergoing clinical trials in humans, according to the U.N. health agency. “I don’t want to be argumentative,” well-known Colombian geneticist Emilio Yunis told IPS, “but I think there is a great deal of confusion about what Patarroyo and his team have done. “Chemical Reviews is a very widely read journal, but as its name points out, it consists of review articles,” he said. Added to controversies about what does or does not constitute exaggeration of results at the experimental stage are longstanding accusations about animal trafficking and the treatment of the monkeys. Ángela Maldonado, the head of the Colombia-Peru Aotus Project, which is based in Leticia and, as she pointed out, “is affiliated with the Asociación Primatológica Colombiana (Colombian Primatological Association),” is one of the people who has been concerned about the monkeys over the last five years. Contacted by IPS in Leticia, Maldonado provided a wealth of material via e-mail, including documents submitted to local and national authorities and a journalist’s video, that she said were evidence of trafficking in owl monkeys. Animals for research should be bred in captivity, in order to avoid the illegal traffic carried on by indigenous people who hunt the elusive monkeys for sale, said Maldonado, who has a master’s degree in primatology and a doctorate in conservation from Oxford Brookes University in the U.K. Among other legal actions, she filed a suit in August 2010 at the Regional Prosecutor’s Office, to which FIDIC has not yet responded. A second summons will probably be issued for Apr. 13. “In November I provided the Environment Ministry and the environmental division of the Ombudsman’s Office in Bogotá with sufficient evidence of illegal trafficking (of monkeys),” said Maldonado, who claims FIDIC is using monkeys imported without permits from Peru. “After experimenting on them and removing their spleens, they release them in Colombian territory in groups of up to 253 monkeys, causing a severe environmental impact,” she said. “I have proof,” she stated. CORPOAMAZONIA, or the Corporation for Sustainable Development in the Southern Amazon, a state biodiversity research centre, is the immediate local regulatory authority. IPS requested information from the centre, but received no reply. “As for me, I only discuss science,” he said.